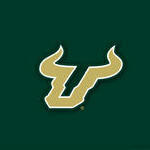 I've been watching USF basketball since 1984 and a season ticket holder for many of those years including this one. This is the best defensive team I've seen as well as the happiest team. By that I mean they genuinely enjoying playing together and for this coach. They are young and inexperienced. Their one senior sat out a year, gets less than 20 minutes floor time a game, and didn't play all that much at Auburn. They have a team-first philosophy. Though picked to finish last in the conference, they are 2-2 and could well be 4-0. Coach Gregory has brought the program back to respectability. Nobody can take this team lightly. Still, there seems to be a level of disappointment because they've lost four games (by 3 points or less). One theme seems to be that Gregory is not so hot because he can't teach them to shoot foul shots at a higher percentage. But this team has, if I'm not mistaken, outrebounded their opponent in every game. That's Gregory. We lead the conference in steals. That's Gregory too. True enough--they have underperformed at the foul line and we should expect better. I think they will get there, because the nine guys who are playing most of the minutes have a lot of pride and determination. Now, what about USF students and our USF community. Where are the fans? These guys deserve support. Where is the campaign to fill the Sun Dome? No excuse to draw 3,000 or fewer every game. Coach Gregory is a class act and he's just beginning. This is the best defensive team I've seen as well as the happiest team. Mr. Collins, Mr. Anderson and company would like a word. In general this society needs to stop being prisoners of the moment. One theme seems to be that Gregory is not so hot because he can't teach them to shoot foul shots at a higher percentage. They are young and inexperienced. Their one senior sat out a year, gets less than 20 minutes floor time a game, and didn't play all that much at Auburn.